Sydney (March 18, 2019) – CitiXsys, developer of the iVend Retail integrated omnichannel platform along with its channel partner, Virroo Pty Ltd. has successfully certified an add-on for Afterpay Australia. Afterpay is the leading platform that offers clients the ability to buy now and pay in 4 equal installments, interest-free. Afterpay is driving retail innovation by allowing leading retailers to offer a ‘buy now, receive now, pay later’ service that does not require end-customers to enter into a traditional loan or pay any upfront fees or interest to Afterpay, and currently has over 800,000 customers and over 6,000 retail merchants on-boarded. Finally, more payment flexibility for your customers! iVend Retail is the integrated omnichannel retail management platform for retail and hospitality businesses that includes modules for point of sale (POS), mobile POS (mPOS), eCommerce, customer loyalty, digital passes and analytics tools to support business growth and expansion. iVend Retail is designed to empower retailers to enhance shopping experiences that deliver on the personalisation and convenience today’s consumers have come to expect. The certification led locally by Virroo PTY Ltd, a technology strategy firm and iVend Retail Platinum partner that provides innovative, effective and complete business and accountancy software solutions with a specialization in retail, has built the certification such that merchants running iVend POS and iVend mPOS can now serve their customers with an even more flexible payment method. “iVend Retail is specifically designed to be flexible and extensible enough to help merchants remain agile and keep up with changing market trends. 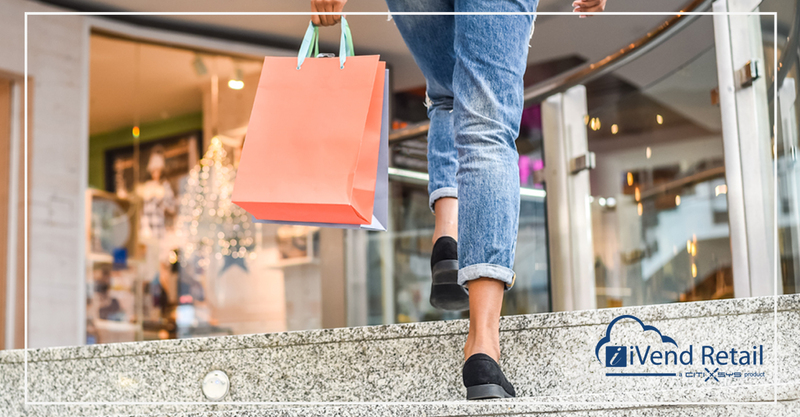 Consumer preferences for shopping are constantly evolving and as demand grows for Afterpay’s new layby-like process that allows customers to take their purchase home straight away. We’re pleased Virroo Pty Ltd. has certified this add-on and can now offer the latest technology to retailers in Australia,” shared Paula Da Silva, Executive Vice President of Global Partners and Alliances for CitiXsys. “We’re already committed to providing the latest technology to help our clients better manage their retail operations. Building on our core functionality of integrating different ERP and retail products and data sources, developing APIs, automating software functionality and enhancing business processes, certifying iVend Retail to Afterpay is the next logical step. We’re now positioned to guide retailers in Australia toward an integrated retail technology ecosystem, so they can offer shoppers that complete omnichannel experience,” said Jimmy Patel-Head of Global Sales. iVend Retail is a leading omnichannel retail management platform and with channel partner Virroo, counts leading retailers among its clients such as, Samsonite, Ted’s Cameras, Asics, Lynch Group and Minijumbuk. The Afterpay integration to iVend Retail is available from Virroo for all retailers located in Australia. To learn more, visit www.virroo.com. Since 1989, Virroo has been providing quality business systems to all market sectors in Australia, New Zealand, Singapore and USA. Specialising in retail, distribution and merchandise management, financial system design and management and network management, Virroo provides and customises applications produced by world leaders in software development. These applications cater to the needs of the smaller business through to the largest corporate or enterprise organisations. Given the reliance businesses place on their information systems and to ensure our product implementations are maximised, Virroo support consultants focus on providing exceptional service to clients across all areas of support. From our head office in Brisbane, branch offices in Melbourne and Adelaide, and in conjunction with affiliated companies across Australia and overseas, Virroo can provide a total service solution to clients with centralised and/or distributed operations.